It’s time to get Sales and Marketing to collaborate on content. Marketing can support the sales team by providing topical content on a monthly basis. This gives the sales team a relevant perspective to share with prospects and their client network. Marketers report that their biggest concern is that they can’t create enough content. One of the best sources of content is our Sales team. They are out in the field hearing about the problems faced by customers. They may (or may not) be aware of what kinds of introductions lead to initial meetings, and what’s different between the first meeting and the second meeting. As technical levels of B2B sales increase, customers are doing more research online. Prospects may get through as much as 70% of the sales process before they meet with a vendor. More people are getting involved in the decision process, too, and they may have different perspectives on the problem and the solution being considered. 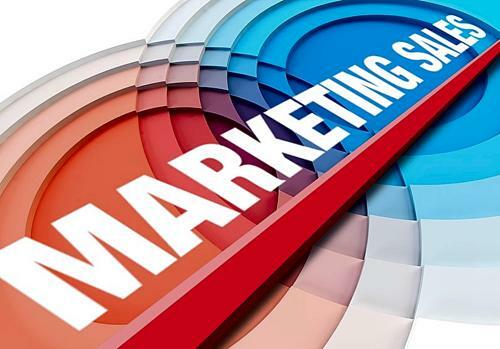 Accordingly, marketing communications are more critical than ever to support B2B sales success. One of the factors leading to better collaboration between Sales and Marketing is the introduction of an integrated bottom line. Where managers and teams are accountable not just to a marketing funnel and a sales funnel, but where monthly content initiatives – and result metrics – are shared between Sales and Marketing. This approach generates accountability between teams. They must work together to gain not only more “high quality” leads, but more second meetings and faster close cycles. Our panel at CMS Expo, “Content Marketing and Sales for Maximum ROI“, will discuss new developments in CMS technology, Marketing Management, and Sales Best Practices that lead to better collaboration and higher revenue by creating an integrated bottom line. Everyone in the organization contributes, and our customers win.